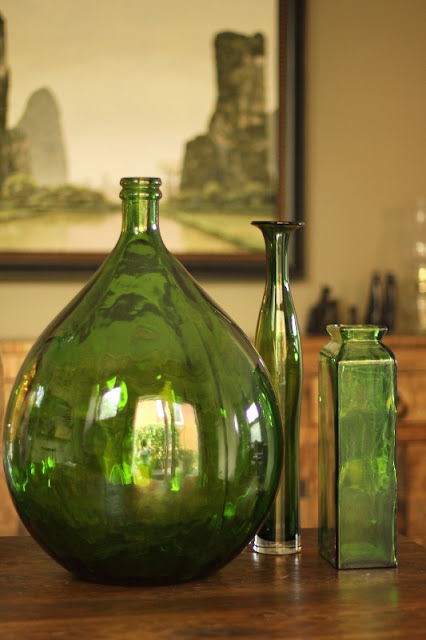 A new found love of mine are demijohns...large glass bottles used to make and store wine. Mine serves a more decorative purpose. I don't believe you can have too many so my search continues for more. I also love green glass and my small collection brings such a warmth to my dining room. I love the shape of your green bottle! I am always looking for one but to no avail :( Where did you find yours?